This is a YouTube playlist of audio and videos of the Songs In The Attic album. Click on the icon in the upper left to see list of songs. To many people's surprise, in 1981 Billy released Songs In The Attic a collection of live performances of some of his pre-The Stranger songs from his first four albums. It was a way to showcase the songs from his earlier albums which probably had not received the airplay and production they deserved. It was an inspired and brilliant idea. Songs In The Attic resurrected some undiscovered gems from Billy's back catalog such as "Everybody Loves You Now" and "Los Angelenos," while bringing to life some early staples like "Say Goodbye To Hollywood" and "Miami 2017" which sound more urgent and brighter. And just to have "She's Got A Way" and "Everybody Loves You Now" on vinyl was a godsend for Billy Joel fans since these songs could only otherwise be found on the then hard-to-find Cold Spring Harbor, which even if you could find it was mixed at the wrong speed. "Captain Jack" was much more powerful, and "The Ballad of Billy the Kid" just explodes off the turntable (assuming you still have one). This was not a live album of one or two concerts, but rather a collection of live versions of the so-called "songs in the attic." Billy apparently came up with the album title and the idea of using a flashlight on the album cover. The liner notes were also amazing (click on the image to the right to read the back cover), and the inside covers (the album folded open though there was just one record) featured old photos from Billy's childhood and teenager years. This was a very well-conceived package. See Discogs for more cover art and liner notes. 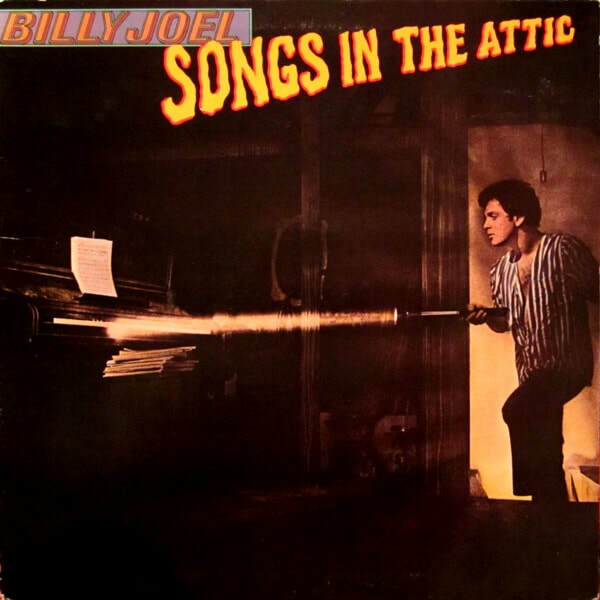 Songs In The Attic was sort of a pre-Greatest Hits album albeit missing Billy's early hits or popular songs like "Piano Man," "The Entertainer," and "New York State of Mind." In the liner notes, Billy said that "New York State of Mind" sounded pretty much the same live or in the studio, so why make carbon copies? Still, one wishes that a few more songs could have been squeezed onto the LP like "Worse Comes To Worst" which was always better live and "Prelude/Angry Young Man" which was often a highlight of Billy's live performances. At the time, most albums were still released on vinyl rather than CD, so I think Columbia Records kept the number of songs limited so they would fit on one LP. There are probably live versions of some of these songs from the 1980 Glass Houses Tour when the songs for the album were recorded. The music videos for Songs In the Attic ("Say Goodbye to Hollywood," "Everybody Loves You Now," and "Los Angelenos") were all live performance videos done in black & white as well, which was appropriate. The video for "She's Got A Way" and "Miami 2017," however, were live color versions from a Midtown Manhattan studio that were first aired in 1981. Billy gave an in-depth interview with DJ Dennis McNamara about Songs In The Attic in 1982. It used to be on YouTube, but is no longer; you can see information about it here or listen to it here (thanks to BJCR). It's back up here. Billy discusses how Songs In the Attic came about, as well as the old photos in the album. The clever front cover to Songs In the Attic. The flashlight was apparently Billy's idea. 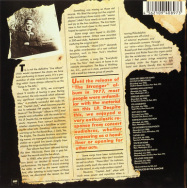 Original back cover from the LP. Back cover from the CD release. 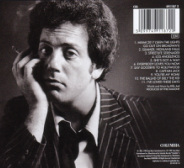 The album featured great liner notes with photos of young Billy Joel.